(Royal Gazette): Bermuda-based Kingate Management Ltd had just three employees purportedly running an operation that fed $1.7 billion to con man Bernard Madoff’s company in New York and racked up hundreds of millions of dollars in fees. More light has been shed on Kingate’s activities on the Island and its role in the biggest Ponzi scheme in history in court documents filed in the US Bankruptcy Court for the Southern District of New York last month. Irving Picard, the trustee of Madoff’s former company, who is seeking to recover funds for swindled investors, is suing Kingate Management, as well as the Kingate Global and Kingate Euro Funds and others. Both Kingate funds, which were incorporated in the British Virgin Islands (BVI), are in liquidation. The liquidators have filed several actions in Bermuda, including one against HSBC Bank Bermuda Ltd, seeking the release of money held in the Kingate funds’ accounts. 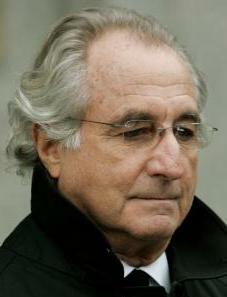 In his third amended complaint, MrPicard has alleged that Kingate and its founders, the London-based businessmen Federico Ceretti and Carlo Grosso and their company FIM Ltd, failed to carry out basic due diligence on its investments with Madoff and purposely ignored huge “red flags”, including unfeasibly consistent returns from Bernard L Madoff Investment Securities Ltd (BLMIS) and statistically impossible trading volumes. Last week it emerged that Citi Hedge Fund Services Ltd, based in Hemisphere House, on Church Street, Hamilton, which is also named as a defendant in Mr Picard’s complaint, was served with a summons on June 17 this year.